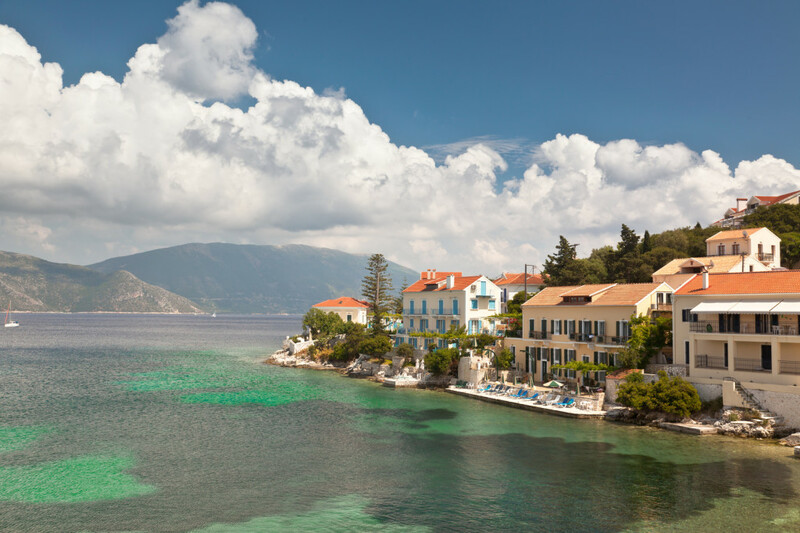 Kefalonia, the largest of the Ionian islands, is “painted” with the most vibrant tones of green and blue. 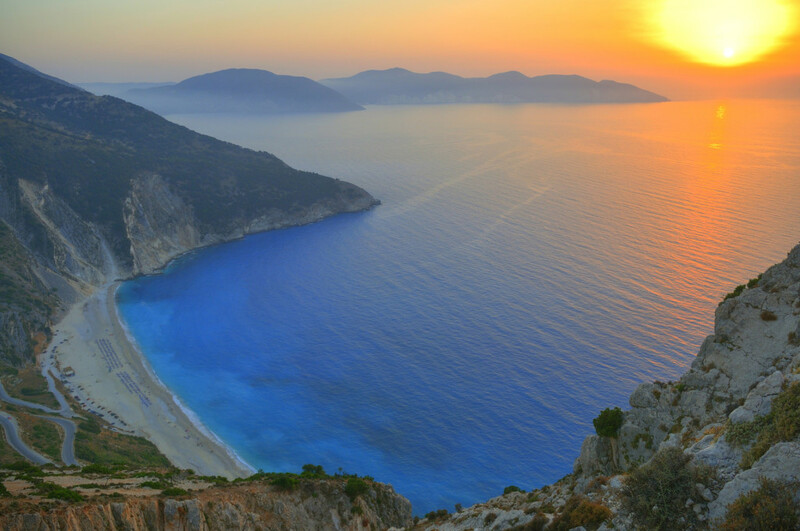 Forests, mountains, cliffs, a marvelous coastline, vineyards and the scents of pine and herbs, underline its rich natural settings. 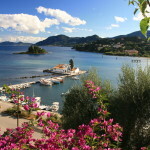 In 2000 the island acquired even more international fame, as John Madden’s film “Captain Corelli’s Mandolin” was shot there. 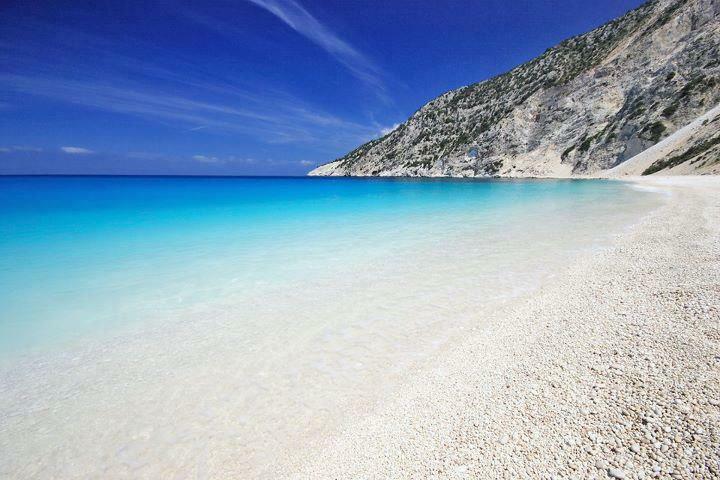 Kefalonia is well-known for its beautiful beaches, the majority of which are organized, with Myrtos serving as its trademark beach worldwide. 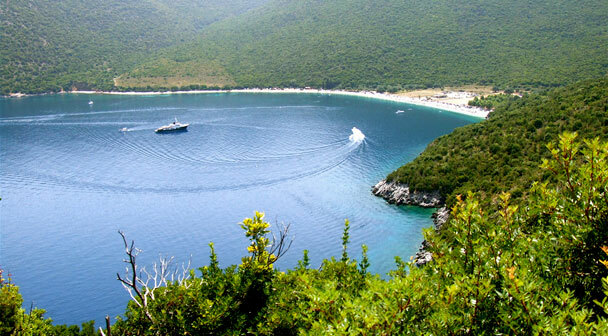 Furthermore, Mount Enos at 1628m is declared a national park, hosting a dense woodland of fir trees (abies cephalonica), while numerous impressive geological formations such as sinks and caves are scattered throughout the island. 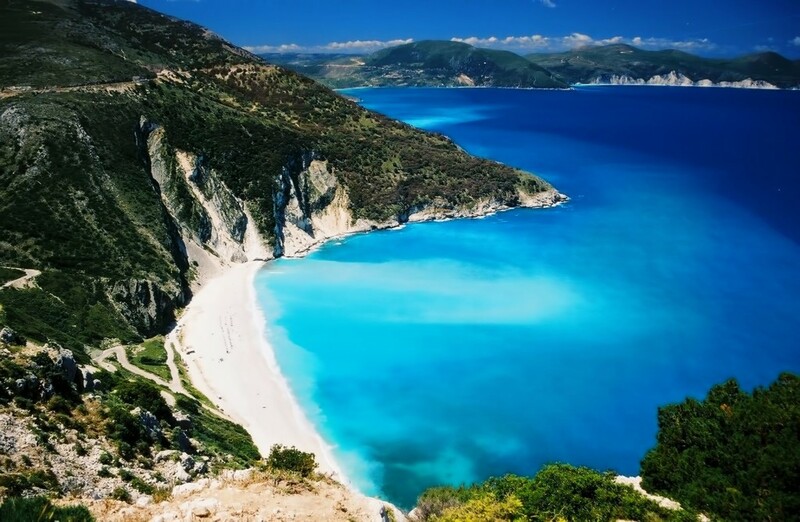 Tourism has developed respecting nature and Kefalonia is a very popular destination among Greek islands, yet it never feels overcrowded. 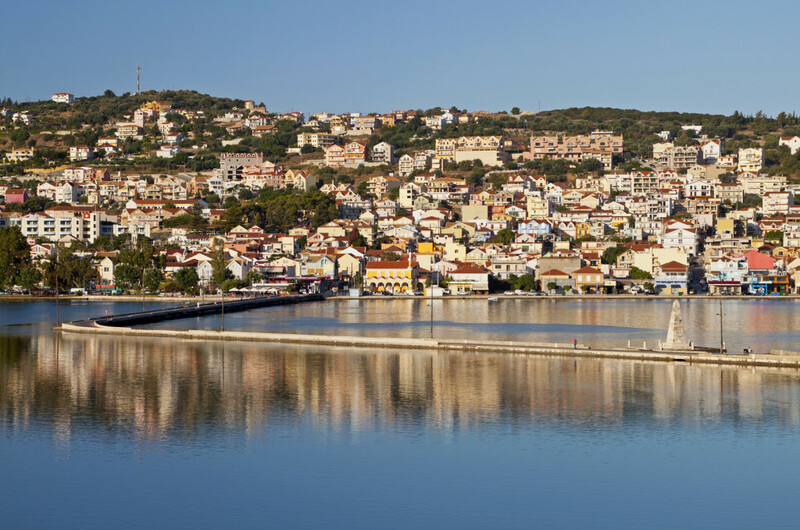 Its capital, Argostoli, is a modern, lively town of more than 10.000 people, which was rebuilt after the devastating earthquake of 1953, thus missing the Venetian touch of its former architecture, but remaining traditionally Greek. 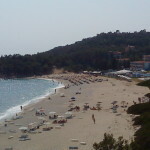 Lixouri, the island’s second largest town situated at the peninsula opposite the capital, is also popular and beautiful, with lovely beaches nearby. 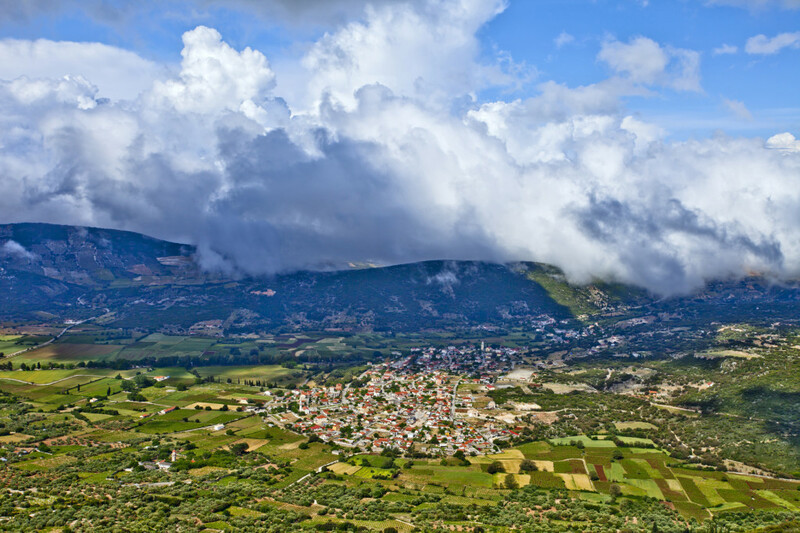 The local quality gastronomy (do try the sweet delicacy mandoles and the robola wine), the typical Ionian songs “kantades” and the outgoing personality of Kefalonians make the island even more special. 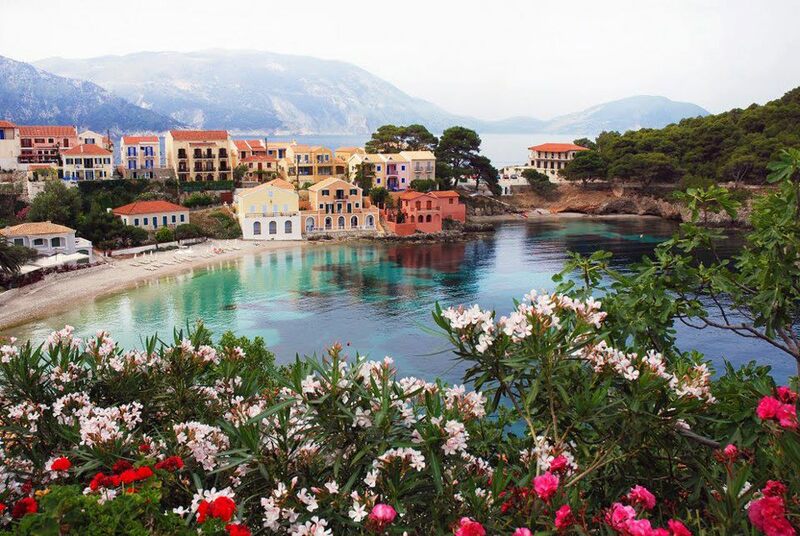 Cosmopolitan but never snobbish, Kefalonia is always full of life, a wonderful place where you can enjoy the Greek sun and sea at their best. 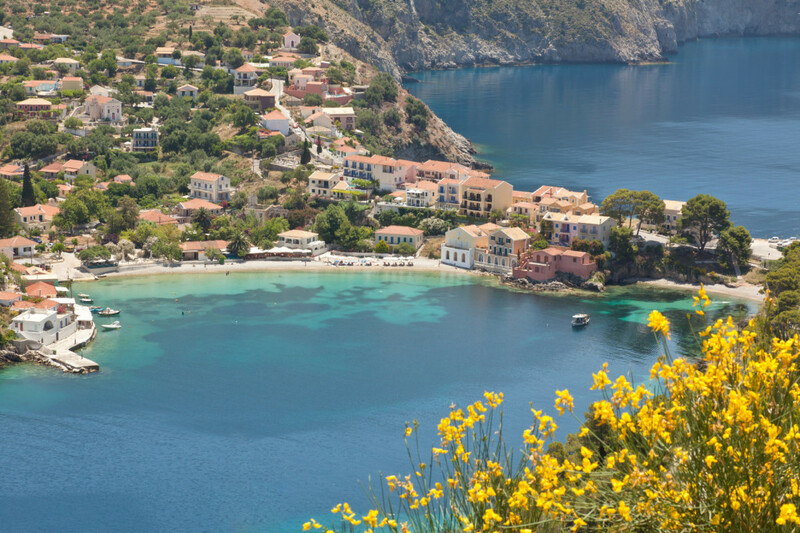 No text reviews of Kefalonia exist. 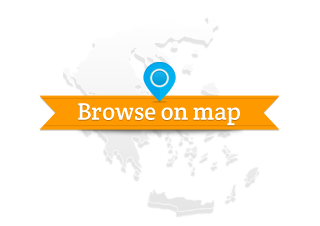 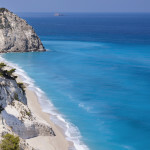 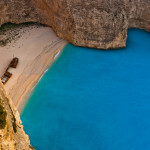 You can be the first one to review Kefalonia.